Bangladesh Atomic Energy Regulatory Authority (BAERA) granted to the Bangladesh Atomic Energy Commission (BAEC) a license for design and construction of Rooppur NPP Unit 2, plant general contractor– ASE informed. 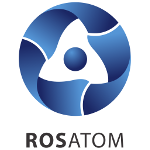 Having received the document, ASE, Rosatom’s engineering division, gained the right to begin the main construction phase of Rooppur NPP Unit 2. The first concrete was poured into the foundation slab on Jine 14. Construction of reactor building walls and their reinforcement, as well as work on the foundation slab of the auxiliary reactor building are being carried out at the Rooppur NPP Unit 1 site. The Rooppur NPP construction started in November, 2017 according to the Intergovernmental Russian-Bangladesh agreement on cooperation in the area of NPP construction on the territory of the People’s Republic of Bangladesh. The selected design for Rooppur NPP is based on VVER-1200 reactors with the prototype at Novovoronezh NPP-2 (Russia).